Well, they will, but once they realise it's the Batteroo doing it they'll stop using them. Or just forget them and throw them away with the dead cells and not bother to replace them. I think it'll have a brief surge in sales if it ever makes it to the shelves of a supermarket but it'll be on the shelf end 'tat' display and, if the company survives, eventually end up being sold via direct marketing TV shopping channels. I'd like to see inside that MP3 player --- if you can find a datasheet for the DC-DC it uses, you can compare the stated Vi(min) to the observed results. ...that is if the 10-20% wasn't already consumed by the boost converter losses... the quoted datasheet efficiencies are a best-case figure, and especially near the end when the internal resistance of the cell increases and the booster tries to draw more current, leading to even more voltage drop, the efficiency will nosedive. That is precisely why I have this test as part of my spreadsheet. It's done in a controlled manor so you can easily get a direct "extra run time" percentage from the "dead" battery. I don't know if you can regard the claims in the Batteriser Twins commercial that was mentioned in an earlier thread as an official Batteroo statement, but they make a very simple claim that should be easy to test. "Guaranteed to increase battery life by at least two times, because two is better then one"
Who sells those AAA to AA battery adapters in Sydney? I thought Jaycar used to have them, but can't find on their website. They used to be easy to find, but I cannot see any in Australia right now. Easy to get on Aliexpress, Bangood, Deal Extreme, etc. The length is the same as an AA battery and the width slightly less. A better solution would be to make a sleeve and an anode extension (with a bit of brass rod) using polymoph plastic. This is hand moldeable at 60 degC but when it cools it is like nylon. It is very strong. The reason why it is probably a better solution is that you can fashion and extender that can accommodate the Batteriser and it can fit in a way that will not damage the Batteriser +ve contacts. Leave the negative contact uncovered. If you are molding over another object (like a battery), as long as the object doesn't reach 60 degC, the polymorph plastic will not stick. Isn't this exactly the sort of thing 3D printers are for? I think you guys are overdoing things. Paper + Adhesive tape + Aluminium foil. 5 minutes. Also is this thread going off topic? But a professional adapter would be better, otherwise Batteroo could say that it stopped working because of the adapter. I guess they might even say you are not supposed to use AAA batteries in AA devices, but then they may counter with another story of poor snails trapped in wells anyway, and you have no chance with facts. Still on topic to discuss if it is valid to use an AAA to AA adapter and which one. Here is 15 minutes effort with Polymorph plastic. I used the top of a small fuse as the anode extender. Beats 3D printing any day for speed. 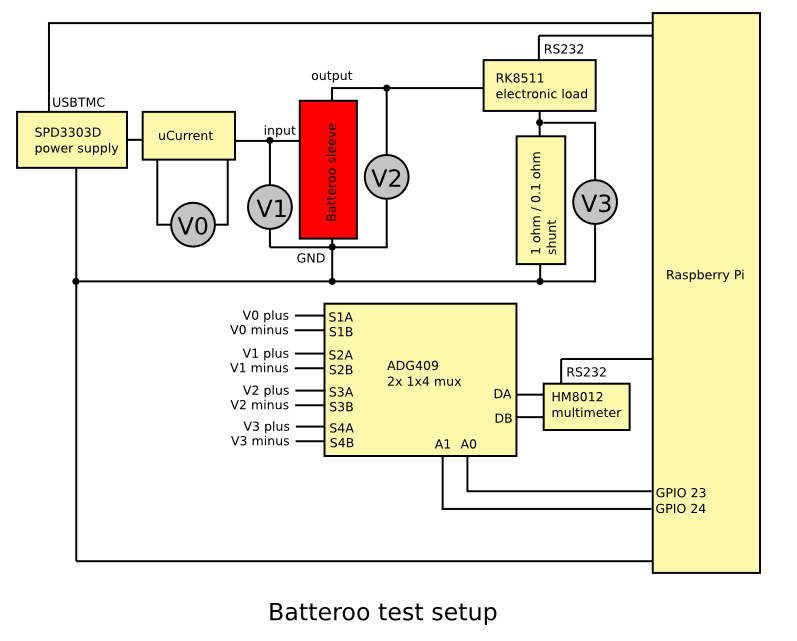 This is my Batteriser friendly design. It is actually very strong and grips the battery firmly. it wasn't quite set in these photos - it gets whiter after an hour or so. 314 minutes for the MuVo MP3 player. Good thing is when the battery dies the DC-DC convter just drops out and draw no more current. So the "dead" battery (recovered to 1.31V) is ready to go on the Batteriser when it arrives. Trouble is you will put the Batteriser on and get another 20 minutes and Batteroo will say - "See it works! Power from a dead battery." You will need to have a second flat battery that you use again without the Batteriser so you can compare. No one ever doubted that it has a little benefit for some devices (but we'll see). The problem was the 800% claim, and how it works if it is used from the beginning with a fresh battery. That's what I want to do in my spreadsheet, get a list of just how much improvement you get in a whole bunch of products. Their claim is not 20%, it's an order of magnitude more and that's the selling point "Only 20% of a battery's capacity is used"
Depending on many factors such as discharge rate, recovery time, specific battery chemistry and recovery time (ie how long you leave the battery without load before reloading it), you'll get a bit more run time with a "dead" battery, so make sure you do that test too, and take that time off the time the batteroo extends! I'm preparing the automated tests for creating the characteristic curves for tomorrow. I thought I had a proper 0.1 ohm shunt, but all I can find is an old wirewound cement resistor. It says "R15 10%", so 0.15 ohm. I'll use this for the 100 mA to 1 A tests. 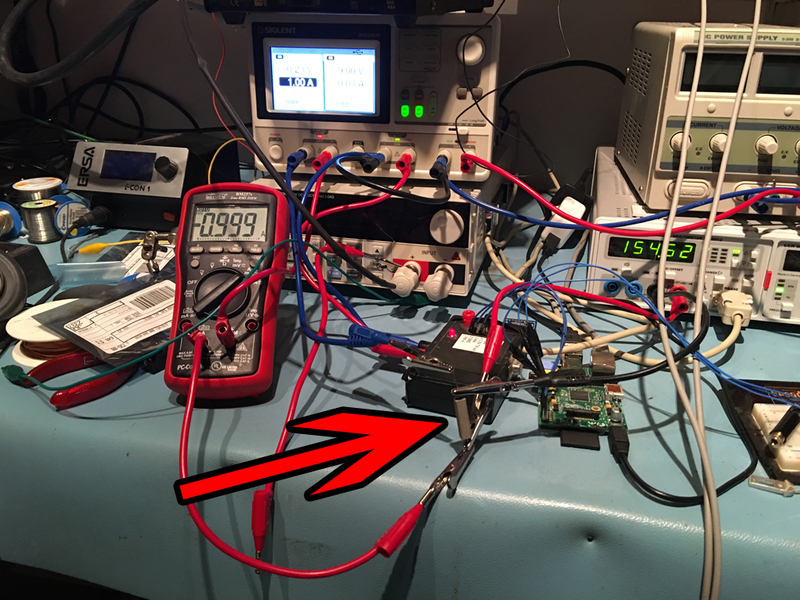 For measuring the exact resistance, I used my SPD3303D power supply in constant current mode with 1 A limit and a BM257s to verify the current. Turns out the Siglent thing is pretty accurate, as you can see in the image below (too bad it doesn't have sense terminals for the voltage). Then I measured the voltage drop with my benchtop multimeter. Depending on where I measure it, it changes from 154.50 to 154.80 mV. Might need to solder some thicker silver wires to avoid this voltage drop, but I don't care about errors less than 1%, high precision measurements is a science of its own, will leave this to the experts. Even after some time the resistor gets barely warm. Now the voltage drop is at 154.24 mV and doesn't change. So I can assume a resistance of 154.24 milliohm, which I will use as a calibration value when measuring the current with the initial setup I posted. Is this ok? Yes, that was on my list. I like the train better and hope you will do it first. If you are not doing video you could take a dozen or so pictures (if the wheels do not wear out). I'll do both tests. But the train will run for some hours (I'll record it full time on video), so meanwhile I can use the second sleeve for the in-depth tests. Wow... did you just make your own "Batteroo Sleeve"? brilliant! @FrankBuss: According to your tracking details, we must be almost neighbours. I have some Arcol HS25 R1 J (0.1ohm +/- 5% 25W) shunts here which you can pick up any time if they are useful for your tests. Nice, but my resistor should work, because it doesn't get warm, so the measured reference value should be valid for my tests. I got the two Batteroo sleeves and started testing with the train with normal batteries and trying to measure the other sleeve. Needs a bit longer, because my electronic load had an error of more than 5 mA in constant current mode. So I tried to calibrate it as described here. Thought I could just calibrate the low current values, because I can't generate 25 A. But now it doesn't work at all anymore. When I set 1 A, it draws max current, when I set 0.9 A it draws no current etc.